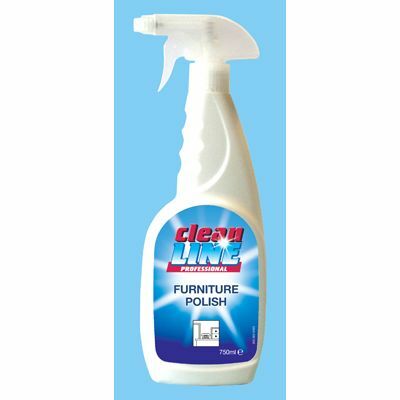 Cleanline Furniture Polish is formulated to give a fast clean and shine in one operation. Cleanline Furniture Polish's formula removes dust and finger marks with ease. 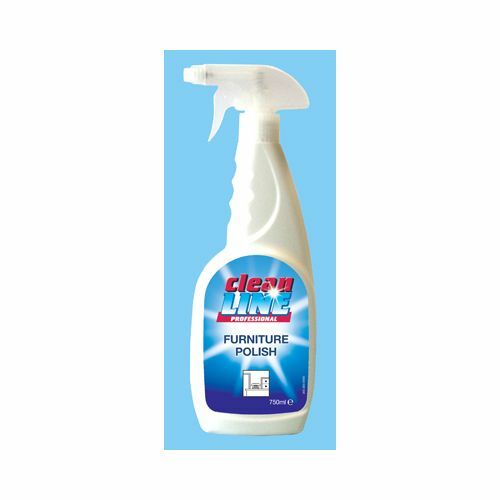 Cleanline Furniture Polish is safe to use on paintwork, enamel, laminates, plastics and sealed wooden surfaces. Each case contains 6 x 750ml trigger sprays of Cleanline Polish. All of our janitorial cleaning supplies, including Cleanline Polish, are available to buy in bulk. Here at Nexus Cleaning Supplies Cleanline Polish is always available at the best possible prices so why not place your order today?